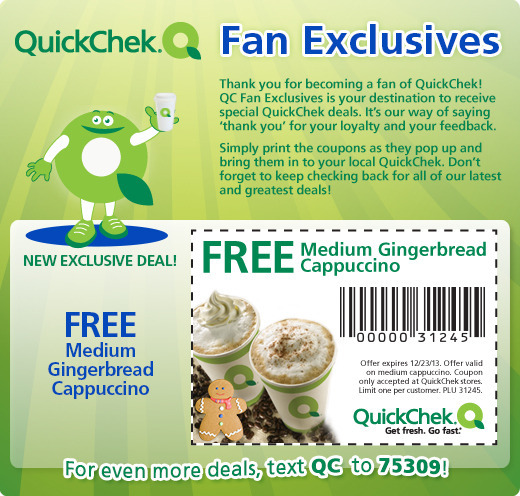 Get a free Gingerbread Cappuccino @ QuickChek. 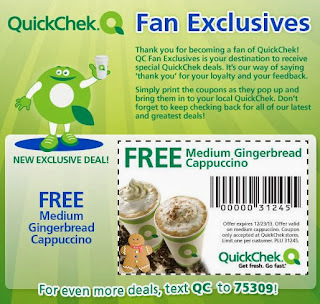 Click the link below to go print your coupon. 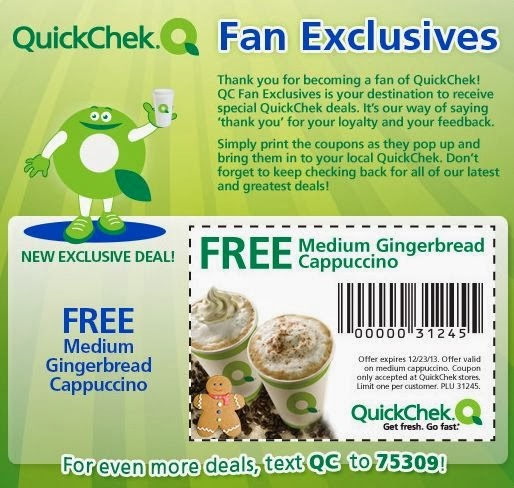 Once you have your coupon take it in to your nearest store to redeem it. This couponn expires by Dec 23, 2013.